As the most popular work of the entire orchestral repertoires, Beethoven’s nine symphonies are among the most recorded works in history: we have recordings from virtually all conductors, living or dead, and most great orchestras. As a result, seasoned listeners have all formed their own opinions on what these pieces should sound like (whether their opinions are formed by studying the scores or studying all the recordings is open to debate), and they are difficult to impress when new reocrdings come out. However, I find the new recording by Herbert Blomstedt close to perfect. This is his second Beethoven cycle (the first one was recorded with Staatskapelle Dresden). The new cycle was released in celebration of his 90th birthday, and was recorded between 2014 and 2017 with Gewandhausorchester Leipzig, which was also the first orchestra ever to have presented all Beethoven symphonies as a cycle back in the 19th century. Gewandhausorchester has recorded the same cycle under their previous Gewandhauskapellmeister Riccardo Chailly, but I find this cycle are far superior to the Chailly’s cycle, and certainly among the greatest Beethoven cycles ever recorded. The tempi chosen here are close to the metronome markings by Beethoven, but without ever giving the impression of dogmatic adherance to the markings, as some conductors within the historically-informed movement have done. When comparing this cycle to Riccardo Chailly’s recent cycle with the same orchestra, listeners can notice that while in some symphonies, such as the sixth, Riccardo Chailly has taken a tempo almost exactly the same as the metronome marking for the opening movement, the result is far more pleasant and convincing in Herbert Blomstedt’s interpretation, without deviating from Beethoven’s own prescribe tempo too much. Gewandhausorchester Leipzig is in top form here, and the recording quality is excellent. Even though Blomstedt has chosen to adopt a lighter orchestra force than his previous cycle, the sound of the orchestra in the recording is by no means light and hallow. The basses attacks in the last movement of the third symphony was about as satisfying as those recordings under Herbert von Karajan, and the full orchestral force in the ninth was as powerful as any listener can hope for. Overall, this is a very even cycle without any flaws. 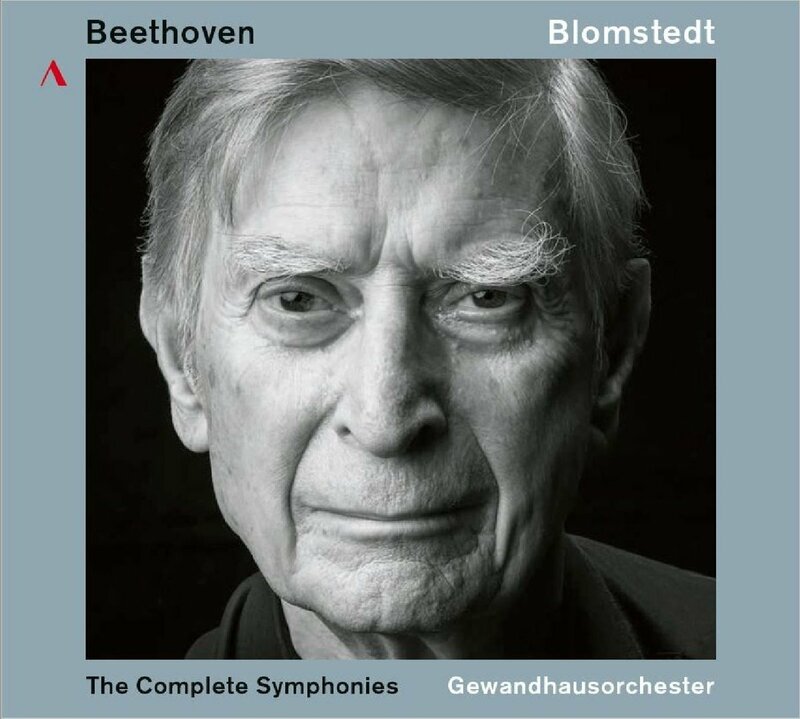 With this cycle, Herbert Blomstedt joins the ranks of Wilhelm Furtwängler and Herbert von Karajan as one of the great Beethoven interpreters, albeit in a totally different direction from the former two.